412 Food Rescue is fighting hunger and food waste by collecting surplus, viable food that would otherwise be discarded and directly distributing to community organizations that serve those in need. We work with food retailers, wholesalers, restaurants, caterers, universities and other food providers to rescue un-sellable but perfectly good food and deliver it to community organizations throughout Allegheny County-from soup kitchens, to school backpack programs, and other nonprofits that serve those who are food insecure. This is done exclusively through our dedicated network of volunteers who use their personal cars (and bikes) to pick up and drop off this rescued food. Our organization has reallocated over 5 million pounds of food, so help us continue to make an impact! To begin volunteering, please download and register on our #FoodRescueHeroes app to get started! 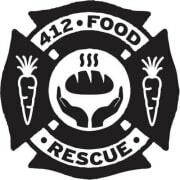 Would you recommend 412 FOOD RESCUE INC?